Hmmmmnn where do I begin? Well my camping experiences started when I was in utero (a growing baby in my mom’s tummy) back in the summer of 1972. 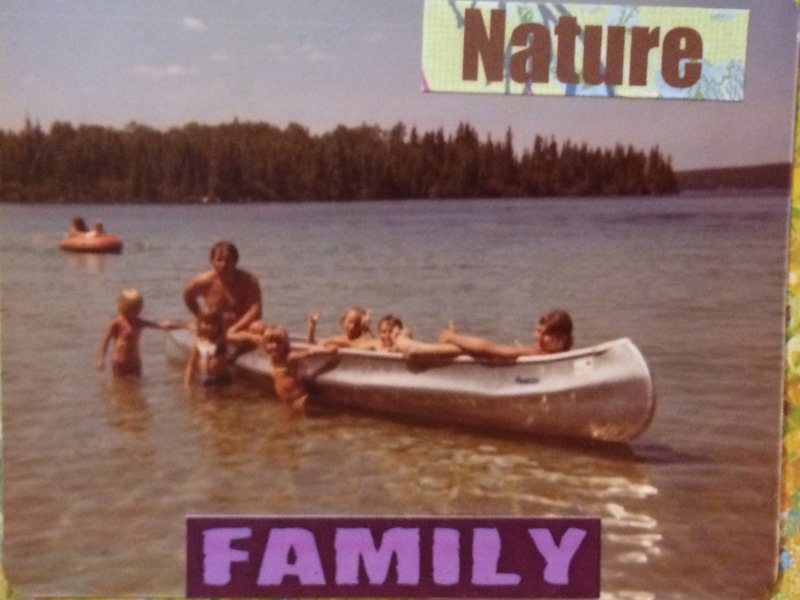 My dad would pack us all up into the wood panelled station wagon and make the 40 minute drive South to St. Malo lake. He would stay the weekend and leave us with mom for the week. My first time “out” To the lake I was but 6 months old and somehow my little suitcase of clothes didn’t make it out with us! So according to mom I wore the same little sleeper all week, washed and hung to dry daily on the famous yellow rope clothesline between the trees! I have little memories of those days of course but I do have pictures of us camping growing up. 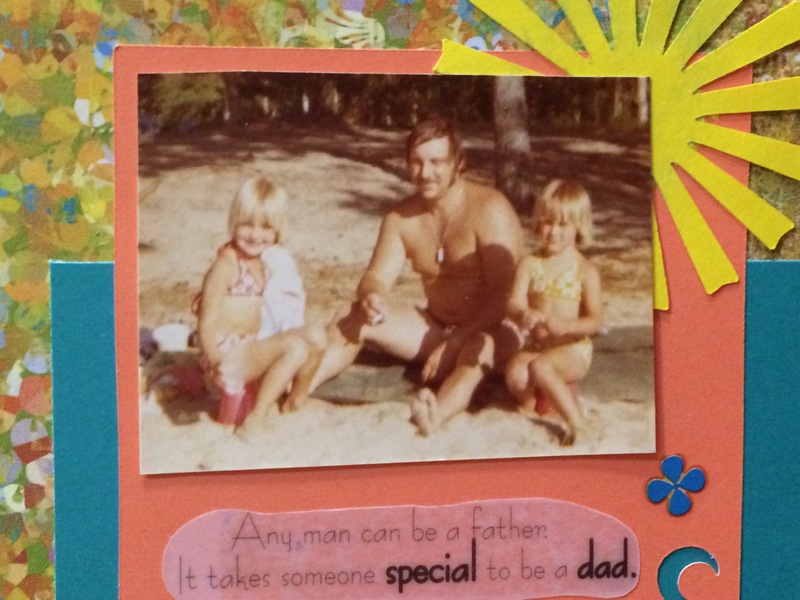 I was scrapbooking those childhood pics just a couple weeks ago at a fabulous retreat at Camp Assiniboia thanks to Brandy Ortiz-Lees #closetomyheart consultant and my amazing friend Carole! By the time I was 6 yrs old my little sister was born, and we fit this family of 7 in dad’s blue homemade tent trailer. We flipped a canoe onto the station wagon and dragged the trailer behind! We even had the big old banana seat bikes in there somehow?! I used to get jealous of friends who would get family vacations to Disneyland/Mexico/Jasper but now realize that our entire summer was a family vacation! Although I did have to fight with my sisters for a window seat. If you’ve ever been carsick imagine a full car, dad smoking cigarettes and the exhaust creeping in through the back window. Thank God it was not a really long drive. I was always thankful to just fall asleep. Upon settling in we would fish, swim and EAT! I loved the water, mostly came out to eat;). Funny now I have a child (6 yrs old) who loves the water and barely even comes out to eat or sleep…here she is closing the beach down! I continued some of my camping experiences with a bible camp as a teen and even planned a weekend for young teens from my community when I graduated high school. I started to volunteer as a nursing student at a camp for kids with diabetes – after 14 years there I just retired from 11 years at Camp Quality. I really do love camp, nature and kids! This past summer my husband and I had the opportunity to buy a camper/gazebo that’s on a permanent spot just across the lake from our old childhood campground. I was hoping we could make it work financially since I know the benefits I’ve had from camping with my family. Heck, take 5 girls under the age of 11 and put us in a living space of less than 200 square feet in the rain… We would fight don’t get me wrong, none of us are saints… Well maybe one but we won’t go there! We learned to play cards, marble games, boggle, scrabble and so much more. Nothing but a radio playing some country music in the background. I think those tight quarters blessed us with the close relationships we have today. Back to my new summer space. The campground is “open” with power and water from mid-April to mid-October. Yes sometimes we still have snow mid-April so I’m not holding my breath on that date exactly. The camper (1979) with Gazebo/building is all together almost exactly 1/10th the size of my house. It’s amazing! Has 2 bottom beds, one fold down upper bed, little galley kitchen with propane stove, sink, electric/propane fridge. Tiny, I mean tiny bathroom. Some people, I won’t mention names can barely use it as their knees hit the sink cupboard if they sit on the toilet. I can’t believe they even make sinks that tiny! There is room for 2 futons or hide-a-beds and a kitchen table that sits at least 6;). Now I have a family of 5 so technically this is tons of space! We even have a patio spot outside and a shed for extra fridge and bikes ect.. So why do I do it? 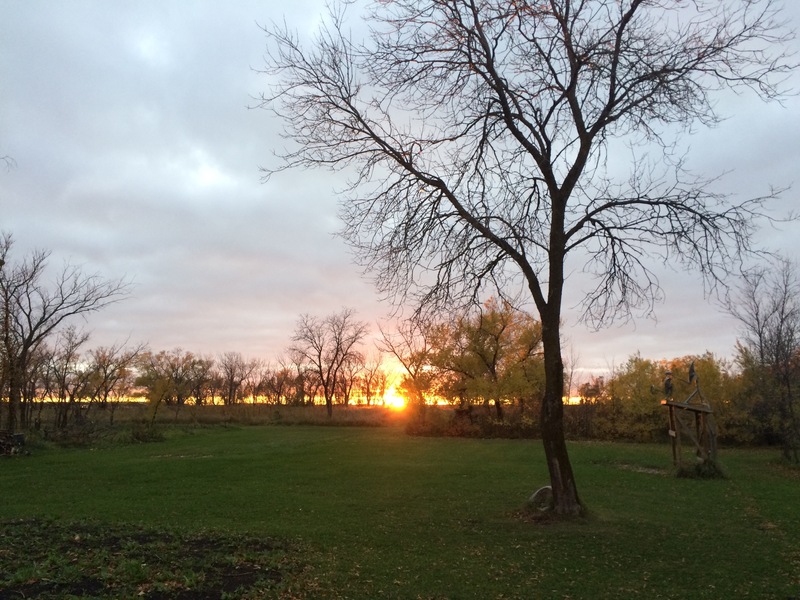 I live in the country on 6 acres of land with a beautiful fully renovated home and huge new tree house (future post topic). I took this camper opportunity to be able to get away from the reminders of work that being home has, and to be able to have my family a little closer to enjoy them more. Also, the hopes that my husband will take some days off work to relax or have fun! I had a 16 year old girl of mine within a 15 foot reach for days in a row! We played cards, cooked and ate, watched movies and went to the beach! Yes I did say movies- I’m not anti-technology at the lake, I’m just pro-family time! I’ve even had my younger sister and her boys out to stay, fish, eat and have camp fires. 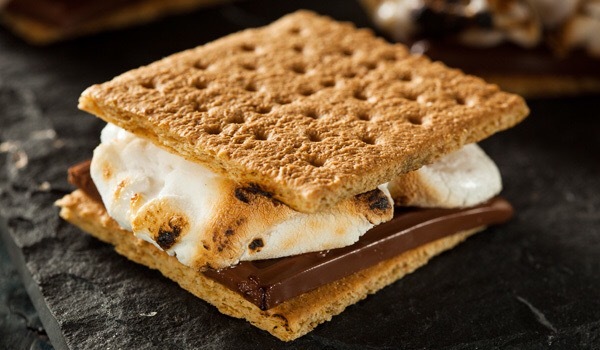 Oh yeah , my favorite food while camping is Smore’s. Don’t mess with my smore’s, best made with large marshmallows roasted slowly over hot coals, squished between graham crackers and a piece of thin chocolate bar. Mmmn I can taste it! You might still be wondering why I would drive 40 minutes to a place 1/10 the size of my house to eat Smore’s … Well until you’ve experienced for yourself the reality of no internet and limited cell service with your very tech connected kids you may never understand it. 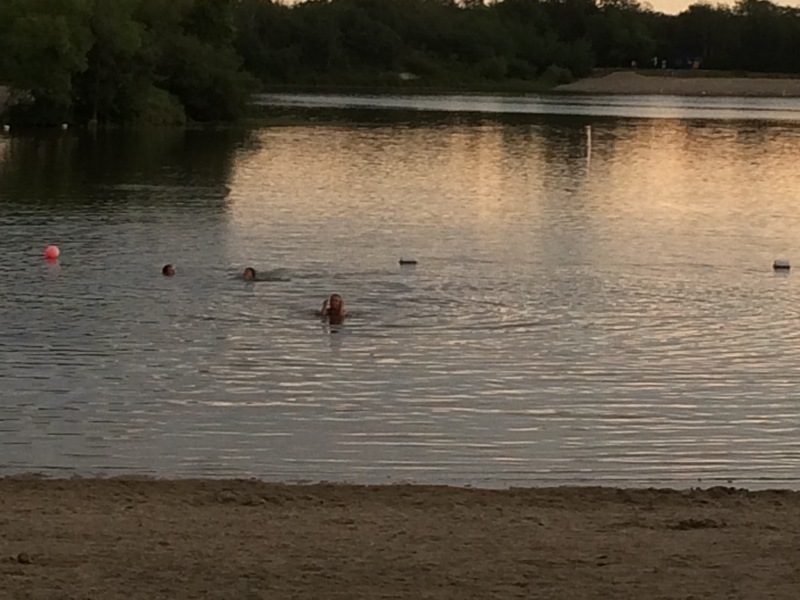 Until you’ve been in a relationship where running a home business means your date night is had within 20 minutes from home in separate vehicles in case of work you’ll take even just one day together at the lake in return. Then I come home and see this out my back window during dinner time. All in all this is a wonderful life! ← From Pediatric Patient to Nurse to Author to Patient in 25 years and 160 hours? !